Photo: Courtesy of Joey Jacobs. Joe Cuccio (left) and Joe Paladino (second from right) have a combined batting average of .345 to start off the season. Photo: Courtesy of Joey Jacobs. 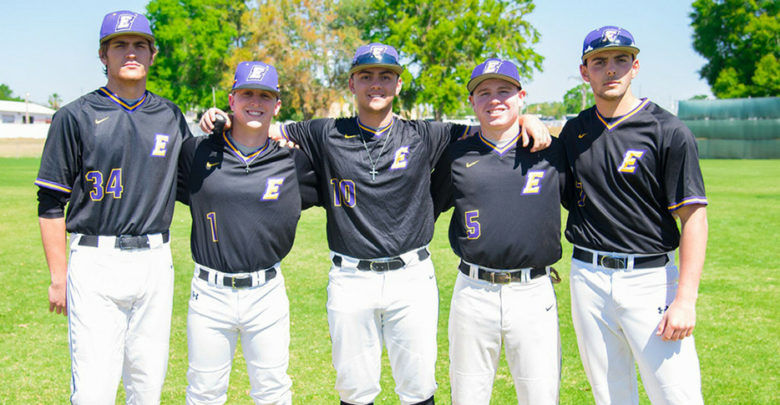 The Emerson men’s baseball team opened its season over spring break with nine games in the Orlando, Florida area. The team failed to replicate its impressive 7-2 record from last year, as they came away with a 3-6 trip down south. Sophomore infielders Joe Paladino and Joe Cuccio paced the Lions’ offense and surpassed their hit totals from their freshmen campaigns during the trip. Both felt their improved confidence heading into this year helped them start off strong, in thanks to new “mind coach” Jake Chaplin. 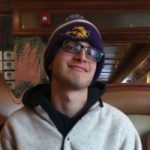 Chaplin is a graduate student at the Boston University School of Education, specifically studying sports psychology. He had been an assistant coach for New York University (2015-2017) and Haverford College (2013-2015), after playing professional ball in the Los Angeles Dodgers organization. Cuccio said he agrees that the athletics program bringing on Chaplin played a big part in his success so far, as his newfound confidence has made him a better ballplayer. Last year, the two sophomores combined to go 7-for-47 (.149), but they went 16-for-45 (.356) to start out this season. The pair proved they can suffice as a serviceable tandem in the middle of the Lions’ lineup. Playing time set the players apart last season. 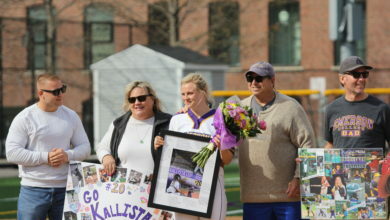 Paladino appeared in 20 of 29 games, mostly as a defensive replacement in the field. 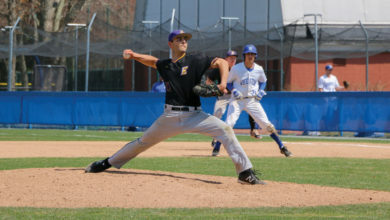 Cuccio appeared in 10 games last year with a mere 11 at-bats, which was in part to the platoon over at first base of Connor Damiano and Danny Johnson—both graduated last spring and were mainstays in the middle of the Lions’ lineup. Cuccio added that Damiano and Johnson were polar opposites in their style of play. 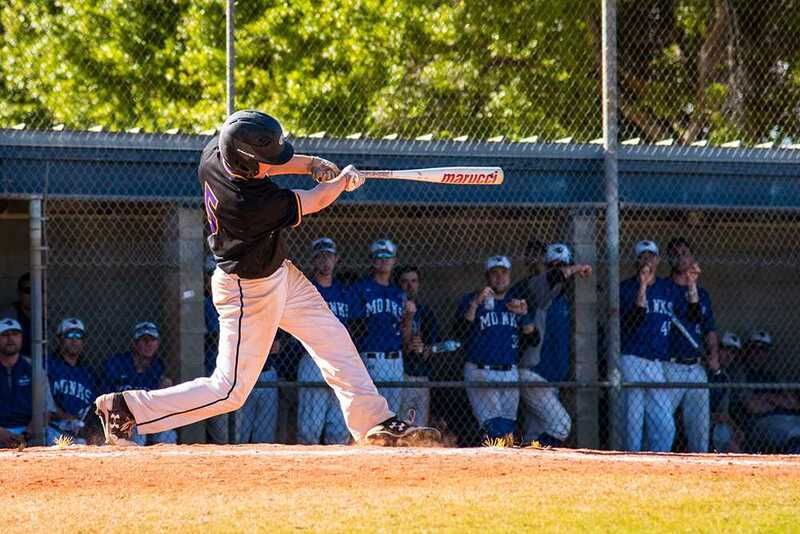 Paladino divided his time between second base and shortstop while down in Florida for the Lions, with Paladino starting the final two games against Saint Joseph’s College of Maine at shortstop. Going into the 2018 campaign, the Lions had big shoes to fill over at shortstop with the loss of four-year starter Mitch Moormann, who was a career .302 hitter at Emerson with 114 hits over four seasons, along with earning Male Athlete of the Year last year. Though the two would have wanted to win more than three games in Florida, Cuccio said his head hangs high. He said he took a lot away from their Florida trip heading back up north. The Lions will play their first game in New England on Sunday against Rivier University at St. John’s Preparatory School in Danvers. First pitch will be 12:00 p.m.